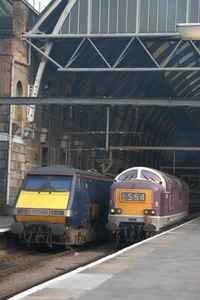 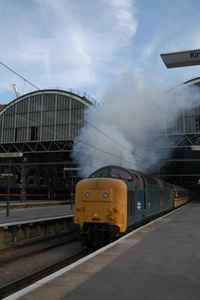 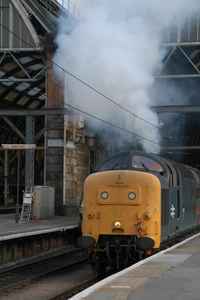 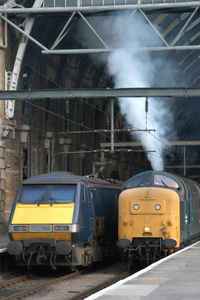 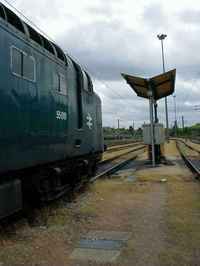 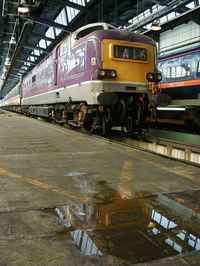 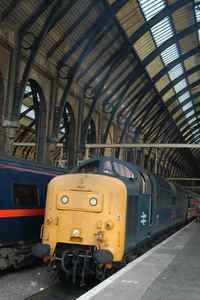 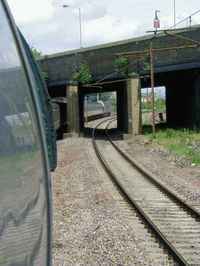 On Saturday 7th June the Deltic Preservation Society ran a charter service from Newcastle to London Kings Cross, although the train was due to be hauled by D9009 Alycidon this loco was unavailable due to a coolant leak. 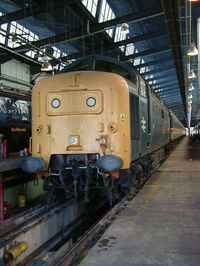 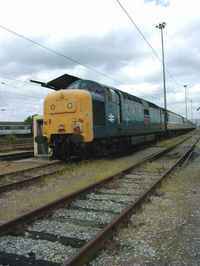 So 55019 Royal Highland Fusilier deputised for the failed classmate. 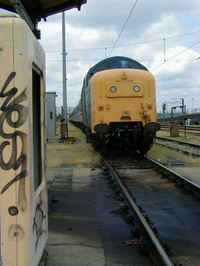 I doubt anyone complained!